Chris Brown & Soulja Boy then confirmed that they would fight each other in boxing match. 7. Chris Brown & Soulja Boy then confirmed that they would fight each other in boxing match. 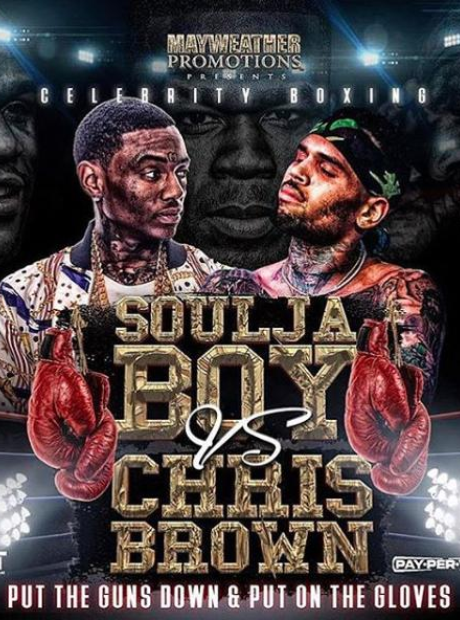 In a strange turn of events, Chris Brown and Soulja Boy revealed that they would settle their differences in a boxing ring. The pair both confirmed the news on their social media accounts and suggested the fight would happen in March in Las Vegas on pay-per-view TV. 50 Cent appeared to encourage the fight on Instagram, suggesting Breezy would win.